Shehu Sani, the senator representing Kaduna central has spoken on dumping the All Progressive Congress (APC). 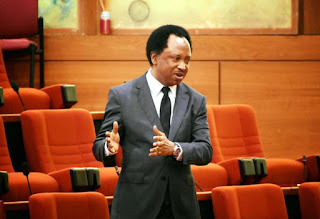 Sani on his Facebook page debunked reports that he had left APC. He stated that he would make it public if he is leaving the party. He used football terms to pass across his message. The lawmaker wrote “I’m still in the Broomcity FC as a left winger and not a defender. The rumour that I’ve changed club to White Horse Athletico and that they offered me the position of a striker is untrue.